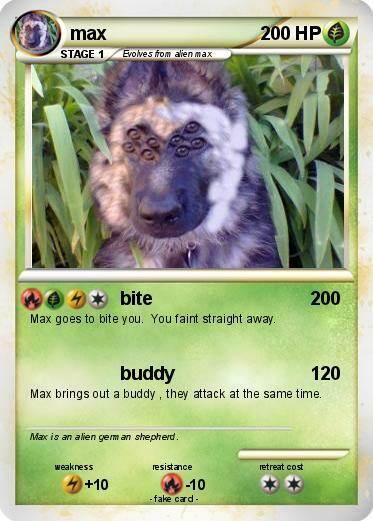 Max goes to bite you. You faint straight away. Max brings out a buddy , they attack at the same time. Comments : Max is an alien german shepherd.